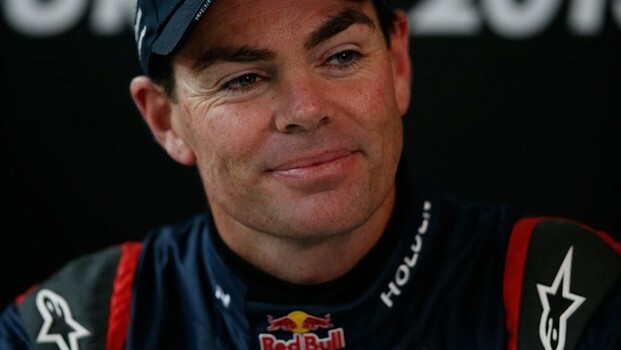 Craig Lowndes jumped to the top of thetimes at the end of the day's third and final practice session. As expectedthe Red Bull Racing Australia Holden Commodores have shown pace throughout thefirst day at the Tasmania Microsoft Office 365. The session saw Jamie Whincup lead,before rookie Scott McLaughlin shot to the top of the times. McLaughlin heldthe fastest time until two minutes to go, when Whincup, Fabian Coulthard andfinally Lowndes ran down to the wire. A win for Lowndes at Symmons Plains wouldnot only extend his points lead over rivals but give him the most race wins inthe history of the series. The Holden racer has drawn level withMark Skaife's winning record and needs just one more to set a new mark. Earlier, Lowndes admitted he had beenthinking about the record since creeping closer last season. 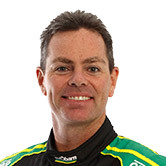 "Even last year when we were twowins away from equalling Mark Skaife's record of 90 wins, it was always in theback of your mind if you have a chance of winning a race," Lowndes said. "Now we've equalled Mark we've justgot to get one more to eclipse him. "It is a huge milestone, I'd bedelighted, I can't wait to win another race to be able to set newrecords." While the Car of the Future rules meantall teams had to work with new regulations and unknowns, Red Bull Racing hasmade the most of understanding the changes. "I think that we've been able toextract the best of what we've got at the moment," Lowndes said. "All teams are far from unlockingthe car completely and ours has got some great potential still to be had." Practice Four, Qualifying and Race Three (of thechampionship) all run tomorrow - tickets through www.ticketek.com.au.